The Tour de France is one of the world's most renowned and best-loved sporting events, and its challenging climbs are the stuff of pure legend. In Mountain Kings, author and cycling journalist Giles Belbin gets up close and personal to the Tour's most iconic peaks and the indomitable heroes who've powered their way up them. 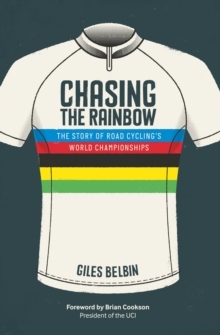 Belbin has selected and cycled 25 of these classic mountain climbs to give a compelling and personalised account, reflecting upon the legendary tales from the Tour, its history and the heroes that have made France's famous road race such an enduring and popular sporting event. 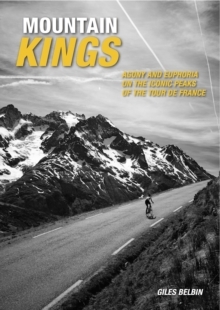 Mountain Kings features profiles on the most influential and memorable climbers of the Tour, plus background on the event's creation, its history and highlights. 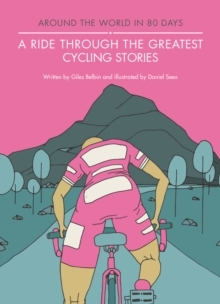 Featuring all the must-know stats for each climb alongside breathtaking photography and evocative descriptions of the ride, this book forms a stunning celebration of the Tour's relationship with the majestic mountains of this historic road race, to capture the imagination of every Tour fan. If you've ever thought about watching the Tour de France or cycling some of the climbs along the route, this beautiful book is a must-read.